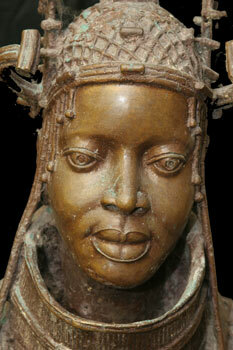 Kongo Exhibit and the Djenne Diversion. One fine Saturday evening (10/10/15) I managed to finally get to the Metropolitan Museum for an exhibition of Kongo Tribal art (Kongo: Power and Majesty). I considered myself fully armed, with my brand new 6S iPhone, and my trusty dinosaur of a Canon (EOS20D) SLR. At the entrance to the museum there were rows of trees breaking the concrete American monotony I have become used to which provided esthetic support to the entertaining fountain show. Of course once inside (with voluntary donation offered) I took the circuitous route and first found myself in the ‘permanent display’ of African Tribal Art. The lone 13th century Djenne anthropomorphic male (H. 10 x W. 11 “) terracotta on display is pretty impressive. 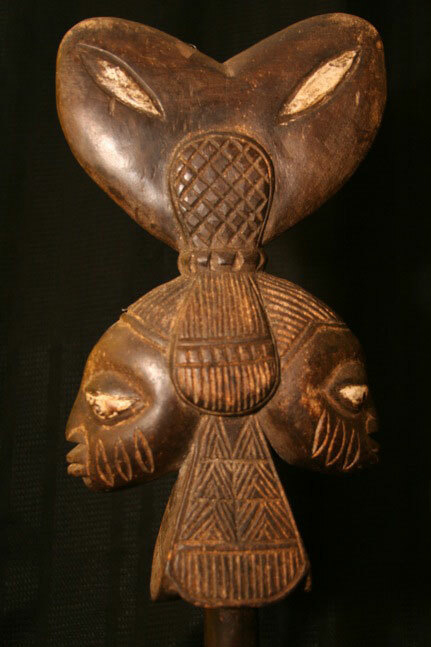 “The first inhabitants of Djenné-Djono (a few kilometers from present-day Djenné) settled there as early as the 3rd century B.C.. 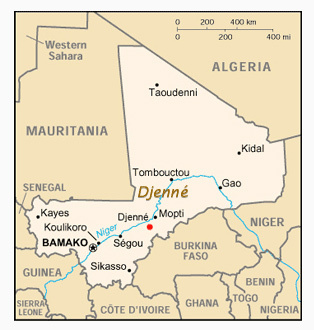 The city of Djenné is built on an 88 hectare island between two branches of the Bani River, a tributary of the Niger”. The town lies in the Inner Niger Delta area (a series of lakes, and floodplains located south of the Sahara desert), which is very different from the Niger delta which lies on the western border of Nigeria. 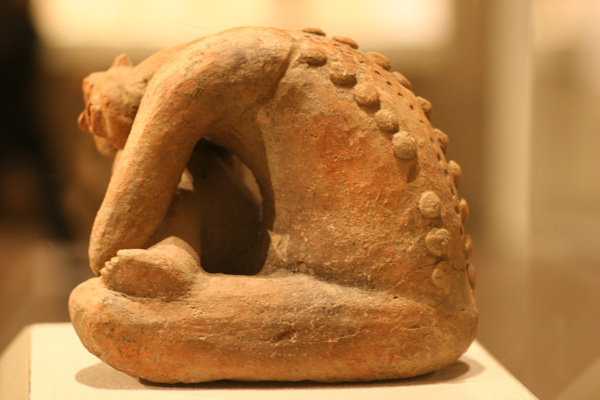 I recall trying to explain my appreciation for this subset of African Terracotta artform to a friend, and failing miserably. 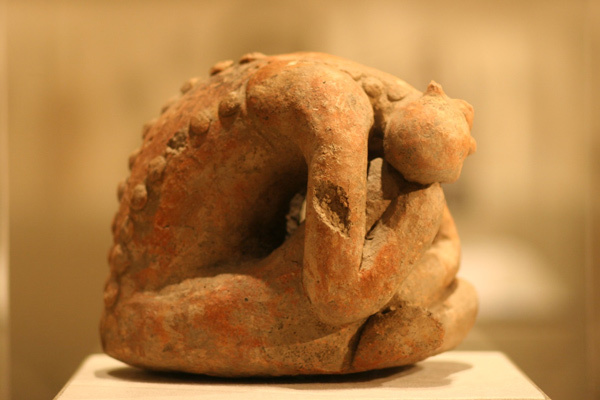 On further thought I realize a large part of the problem was trying to map the artistic concepts of Rhythm and Motion to a sculptural tradition that beautifully explored more abstract ideas of Emotion, Pain, and Containment. Another intriguing aspect of the sculpture is the unnatural flexibility of the subject, and the pattern of raised deformations on the back.